You are here: Home / Open Source / Dagda: The Docker Security Suite! 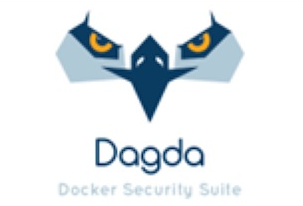 Dagda: The Docker Security Suite! The Docker security god must surely be smiling and thinking he must have done something right to have tools like Dagda that helps in performing static analysis of known vulnerabilities on Docker containers. If you did not get my “Docker security guard” analogy, I won’t blame you either. Google told me that Dagda is an important god of Irish mythology. Enough of mythology, lets get down to security! Dagda is an open source tool, coded in Python to perform static analysis of known vulnerabilities in Docker images/containers. It also helps you to monitor running Docker containers for detecting anomalous activities. To do so, it retrieves information about the software installed in your Docker image, such as the OS packages, the dependencies, modules, etc. and matches it against a vulnerability database. This database is created by collating vulnerability data from sources such as NVD, SecurityFocus BID & Exploit-DB into a MongoDB database. The database also stores your past static analysis “scans” performed on the Docker images and their result for a duration which you specify. REST-API & Command line interfaces as the two ways with which you can interact with this Docker security suite. Every aspect of this tool can be controlled via the REST-API. You can have a CLI access to this tool via the REST API. You can download Dagda 0.5.0 here.